Mike Benson represents construction clients in litigation and arbitration, contract negotiation, mechanic’s liens, and other matters. His experience includes reviewing bid packages, contract documents, change orders, and correspondence to determine authorized work and potential damages, as well as determining whether requirements for filing mechanic’s liens have been followed. 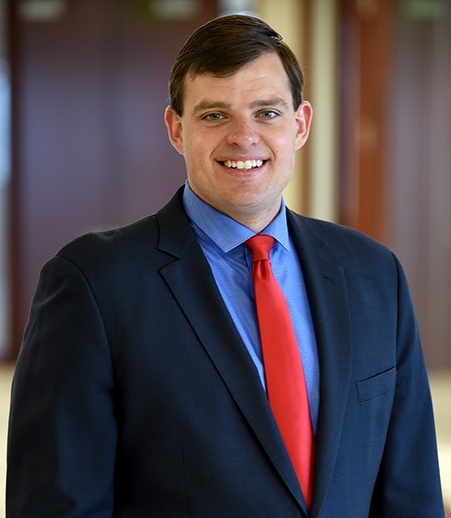 During law school, Mike worked as a management consultant intern and also interned for the Missouri Attorney General’s Office’s Agriculture and Environment Division. In addition, he worked with the Washington University Interdisciplinary Environmental Clinic, where he conducted legal and technical research and drafted an amicus brief to the U.S. Supreme Court explaining control technologies available to regulate hazardous air pollutants.